Referral marketing can be an incredibly effective tool to improve your business marketing. This is why so many people utilize referral marketing tactics to grow their own business. But in order to really experience referral marketing benefits, you really need to know how to create an effective referral marketing strategy that encourages people to join your journey. If you want to grow your business using referral marketing tactics, keep reading below. This post will highlight the best practices for an effective referral marketing strategy that draws people to your business. If you want to maximize the effectiveness of your referral marketing strategies, you need to stop saying the word “referral.” Do not call referrals referrals. Instead, simple call them introductions or connections. Calling referrals by some other name adds a more human element to the connection. 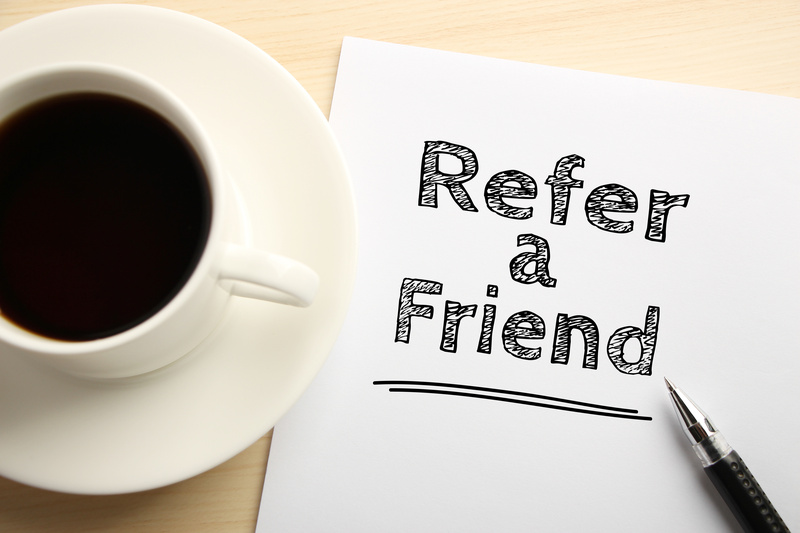 When customers hear the word referral, they can feel like they are being taken advantage of. As if they were a rung on your ladder to business success. Instead, when you refer to these marketing outreach targets as connections or introductions, you make them sound much more inviting and personal. That is sure to help you make the best referral marketing strategy that people actually want to be a part of. Use a multiple channel referral marketing strategy. There are two useful referral marketing channels – employees and customers. Too many business owners forget the importance of utilizing both. The more comprehensive your approach to referral marketing, the better your results will be. That is why you should include an employee referral marketing aspect to your overall strategy. Doing so will create more avenues to market your business and get new customers. Be sure to incorporate both employee referral marketing strategies and customer referrals as a two-pronged approach to these using types of marketing tactics. Great customer support is a crucial component of effective referral marketing plans. When existing customers are well-taken care of, they tend to spread the word. When they are happy with your services, they are much more likely to recommend your services to a friend. It is not just about offering the bare minimum. You need to be willing to go above and beyond for your customers. That way, they remember you when their friends and family come around asking for suggestions. Excellent customer service is truly the key to a strong referral marketing program. Share your skills and knowledge for free with existing customers. When you provide information and skills that are of value to your customers for free, they will remember that. It is yet another of these referral marketing tips that prioritizes the customer and keeping customers happy. When you go above and beyond for your existing clients by offering expert advice or information for free, they are much more likely to share your business name with a friend or family member. In addition, it costs your business nothing to give away expertise free of charge in a monthly or weekly e-newsletter. It will repay you double the dividends when you give away free expertise in order to create a referral marketing plan that works. Personalize referral marketing communications and materials whenever possible. The more personal your direct mail marketing communications, the more genuine they seem. Relationships are the building blocks of referrals. In order to establish and nurture those relationships, you need to get personal with your customers. Directly address them in marketing communications. Include personal details from prior communications. Doing so is one of the top referral marketing best practices to help your business grow and succeed. If you own a business, you know that marketing is a crucial component for growth and success. Referral marketing, in particular, is one of the best marketing strategies to grow your business without blowing your marketing budget. Use the referral marketing tips and tricks detailed above. These referral marketing best practices will help you devise the best referral marketing strategy that effectively grows your business rapidly.